Between March 2015 and the end of last month’s airstrikes, the Saudi-led coalition has been the leading cause of civilian casualties including countless children. Since the start of the conflict, over 10,000 people have been killed with millions being driven out of their homes. However, there has been some talk of Saudi Arabia’s Crown Prince and Defense Minister Mohammad bin Salman wanting out of Yemen. 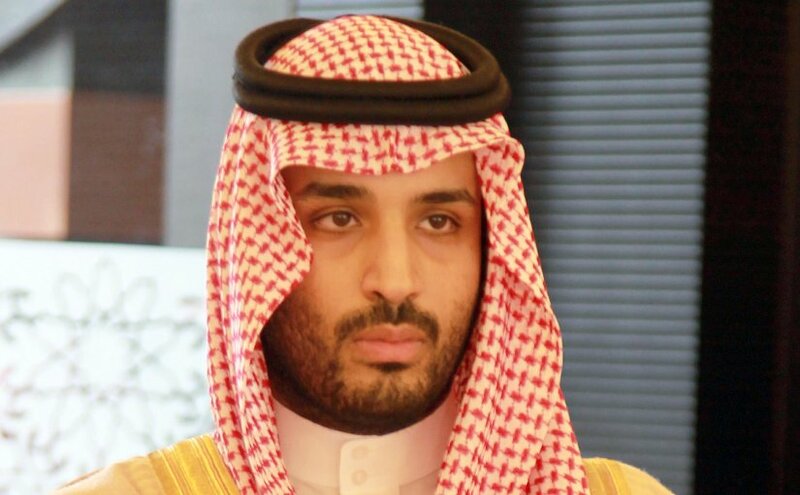 Saudi Arabia’s Prince Mohammad Bin Salman. Photo by Mazen AlDarrab, Wikipedia Commons. Mohammad Bin Salman was the mastermind of the war against the Houthis in Yemen. Now after more than two years of Saudi Arabia’s continuous military engagement, last month’s e-mail leaks from the new Crown Prince and Defense Minister show that the Saudis want out of the war. The war has spread epidemics like famine and cholera throughout Yemen and it appears that the Houthis seem far from being defeated. The war in Yemen has cost the Saudi government billions of dollars and with a global drop in oil prices, they have been forced to take austerity measures for the first time in many years, but getting out of Yemen will not be easy. The new heir must somehow reach an agreement with the Houthis to guarantee that the internationally recognized President Abdullah Mansour Hadi will not be overthrown. The e-mail between Mohammad bin Salman and former U.S senior officials suggest that diplomacy must be the only solution to the crisis. What Would a Saudi Pullback Look Like? The war in Yemen has not only taken a toll on Saudi Arabia, but it has also taken a toll on Yemen itself. There should now be an understanding in Riyadh that this war in Yemen has been a massive failure, some people even call this catastrophe Saudi Arabia’s Vietnam. There have been tragedies on both sides of the border between Saudi Arabia and Yemen, but one should not shy away from the fact that Yemen is facing a famine and cholera crisis because of Saudi Arabia’s inhumane blockade, and constant carpet bombings of the world’s poorest countries. In addition, you cannot really compare the resistance movements to Saudi aggression because the Saudis are not the victims of this war, and how can they broker peace if they have a coalition that intentionally targets innocent civilians with calls from the United Nations and other international organizations calling for an end to the violence? Communities are dying, people are dying on the ground, and it is time for the Saudis and all sides of the conflict to face reality. Quite frankly, there are no good sides within the conflict in Yemen, not even the Houthis themselves. The Houthis did not really understand what it really meant to take control of the capital Sana’a, and once you spoil a political process, the ultimate result is conflict. There are clearly civilian casualties that have been victims of Saudi coalition in the north of the country, but the Yemenis have also been the victims of the Houthis as well in the central and southern parts of the country. All sides of the conflict are starting to realize that after more than two years of violence, the military solution is no longer an option and they need more alternatives like a political solution because we cannot afford to see this conflict continue. If the Saudis do not find a way out of its war in Yemen, then they would be derelict in their responsibilities as a major player that enhances stability in the region. In addition, Riyadh also needs to move away from a military solution and work towards a political settlement. This will need to require a lot of international assistance and collaboration with all the actors in the country to seek an investment in restoring security and stability to Yemen as well as to Saudi Arabia, which is ostensibly the reason why this war began when the Saudis and the Emiratis intervened in March 2015. One of the roadblocks in resolving the Yemen crisis is the fact that we portray the conflict as a Sunni-Shia or Saudi-Yemen conflict. One of the key things to remember in the Yemen crisis is that the Yemenis are missing from the discussion. The core of the conflict in Yemen is that this is a Yemeni civil conflict where more attention has been drawn towards regional powers and religious divisions rather than the Yemenis themselves. This is the main problem that has not been addressed by many international agencies like the United Nations and many think tanks around Washington. Another important aspect of the conflict that is missing is how the Yemenis are feeling absent and even more frustrated that they would be excluded from any negotiations or political dialogue. Ultimately, the Yemeni people must be the main party that can decide the future for their country and free and fair elections would be a way forward for the war-torn country. In addition, the humanitarian situation keeps deteriorating and this is a huge problem for the Yemeni people. Most of the Yemeni people do not want hostile relations with Saudi Arabia, except for the Houthis, and they want to have a normal, stable relationship with Riyadh like the other neighboring countries in the gulf. What can be in the interests of both the Saudis and the Yemenis is a de-escalation of tensions and a normal relationship for both sides. The war in Yemen is much more complex than just a Saudi-Yemeni conflict, but it is a civil war which has yet to be acknowledged or resolved. The main important issue that the Yemenis want is political self-determination which can allow them to decide their own affairs such as becoming more independent and choosing their own leaders, as well as an end to the violence that we are seeing right now. The global community must accept political self-determination as a principle that offers Yemenis the opportunities to decide their own future. If there is any path for a political solution, the Yemeni people must be heard and given a voice to represent what direction their country wants to take in the future. The humanitarian crisis will also be one of the biggest impediments to peace because instability has been thriving on famine and poverty which can lead towards power vacuums for radical groups like the Islamic State and Al Qaeda in the Arabian Peninsula. The Houthis must understand that you cannot enforce your solutions on the rest of the Yemeni people. Yes, the Houthis represent a part of the Yemeni community, but there needs to be a political solution which allows all sides to come to the negotiating table, and a military push from either side will not result in a sustainable long-term solution.